The momentum to bring back respect for science has started. 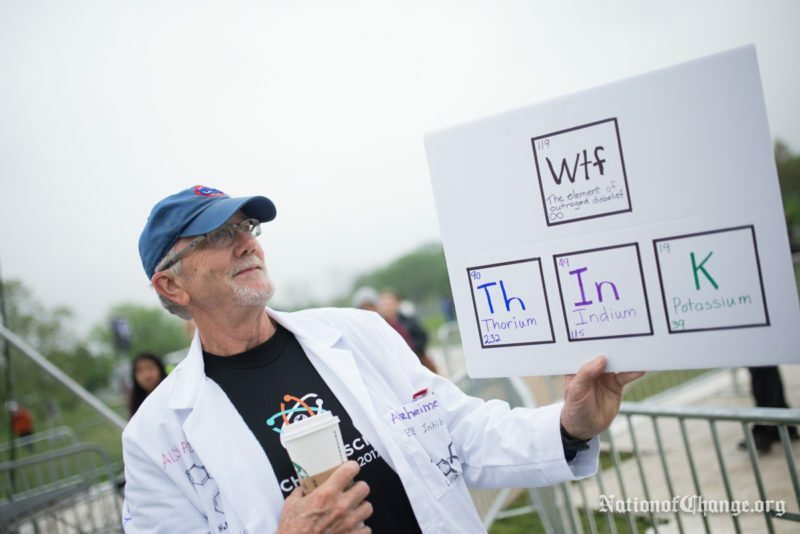 Over the weekend in Washington DC, thousands of Americans marched with scientists from the White House to the Capitol. 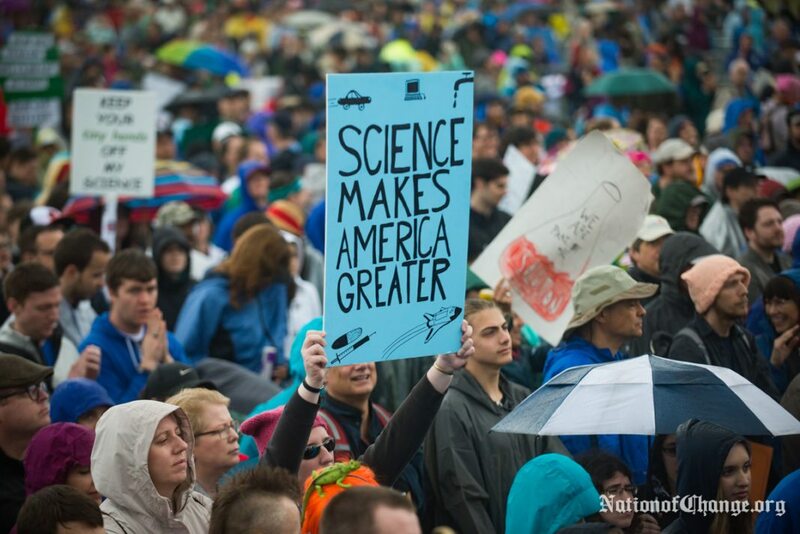 Bill Nye, the Science Guy, led the march roughly two miles in the pouring rain. 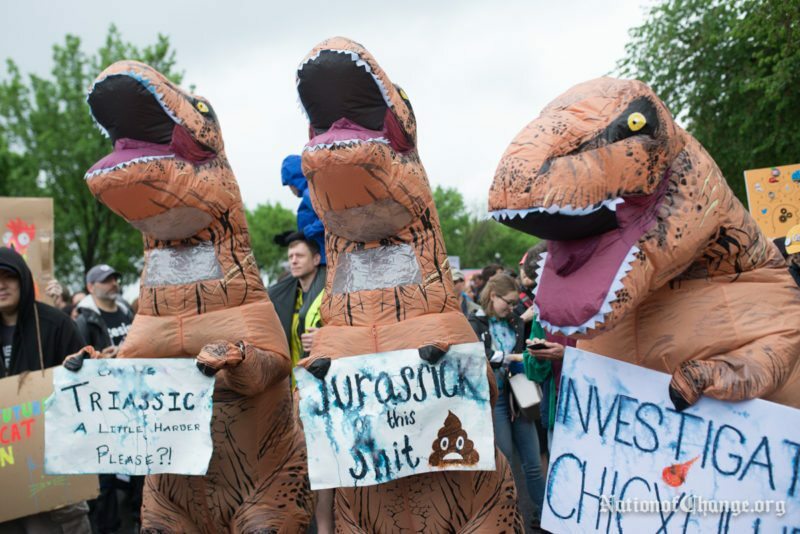 While the numbers at the March for Science didn’t match the 40,000 that attended the Chicago event it was a stunning turnout for an event that had minimal ‘star’ speakers. 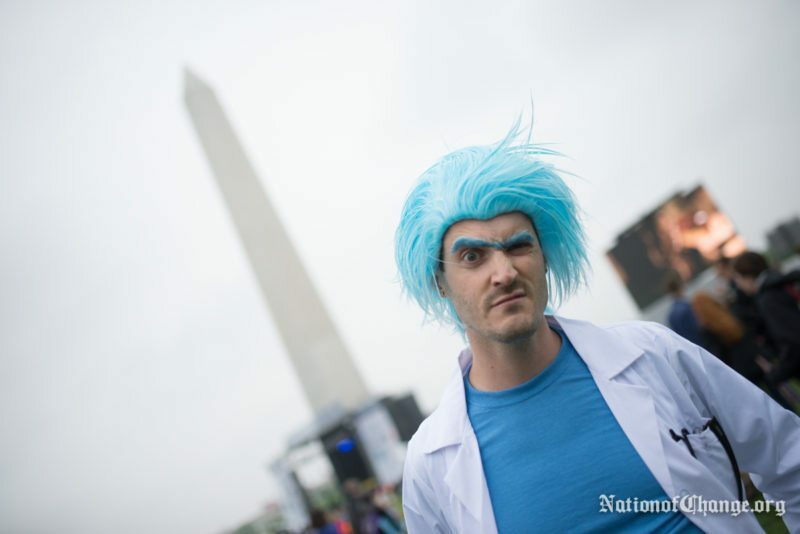 The pop culture science references didn’t end with the signs – marchers wore lab coats, geeky t-shirts and even cosplayed as their favorite dimension traveling character – Rick, from the (amazing) Adult Swim show Rick and Morty. Person after person that I spoke to at the march decried not only the current administration’s cut’s to science but the overall drift away from fact-based (is there any other kind?) information. 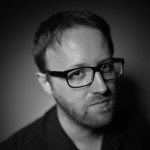 Ironically the only ‘counter’ protestors that I saw at the march were calling people to look into the #PizzaGate “scandal” – a scandal that was completely and totally made up from thin air. Albert Lin, a UCSD Research Scientist spoke from the stage passionately calling out the destruction of our STEM education, “We are in a battle for science literacy, and that battle will be won or lost in our classrooms.” Thankfully at the March for Science, there was an excellent showing of kids who seemed to be loving it. This family had their own set of family lab coats. 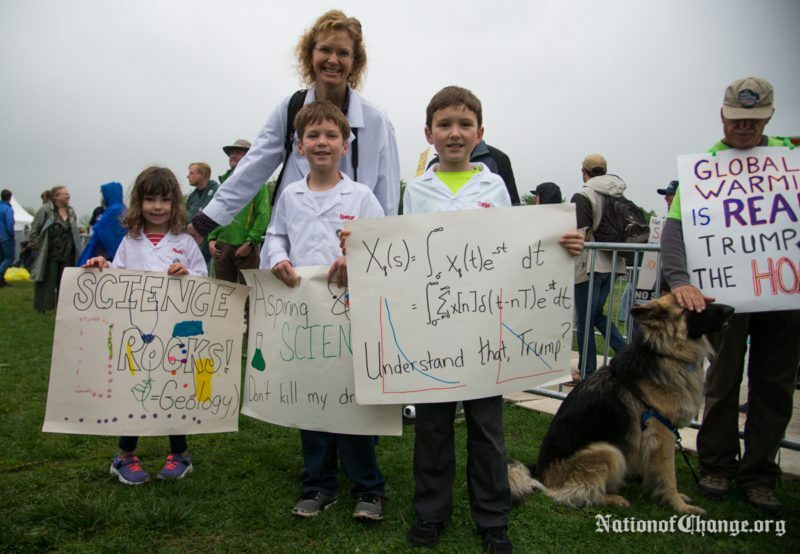 Their mother, Sandra, standing behind them, is a Professor in Engineering and told me that her “kids love science – and they’re going to save the planet.” Like many of the scientists there, this was her first march of any kind, but felt that it was time for scientists to make their voices heard. 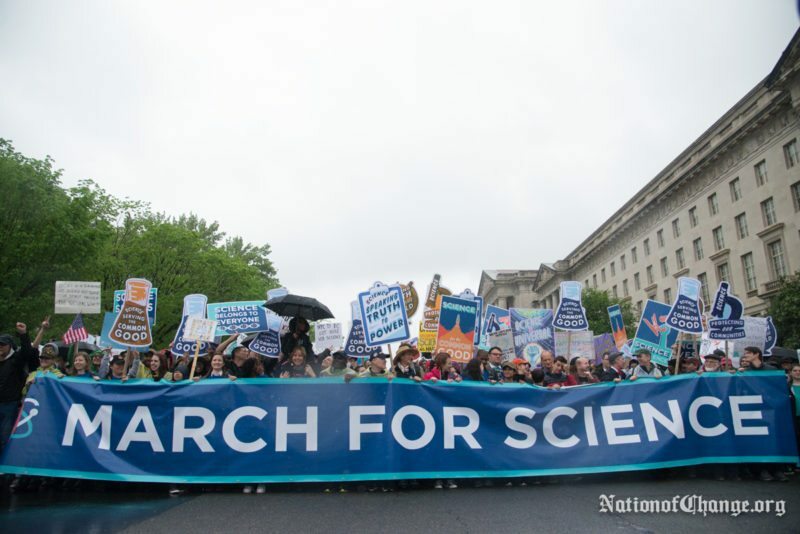 The scientific community was split over the idea of this march – usually not wanting to get involved in politics as it could be seen to affect their research and they could be called out for bias. 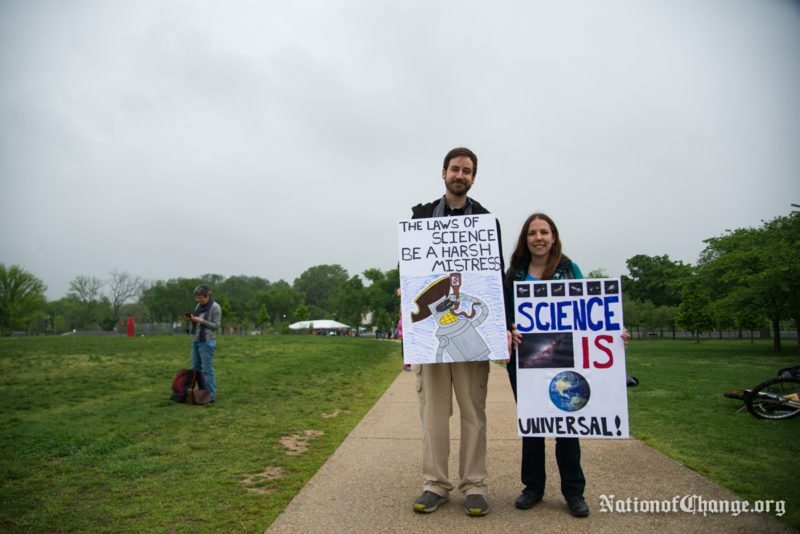 Clearly many disagreed and decided that it was time for science to get involved in politics as politics has long been involving itself in science. Next week in DC and around the country we’ll see even more people take to the streets over Climate Change and other environmental issues – but that was not missing from this march. Little Miss Flint, aka Mari Copeny, who was made famous by her extremely awkward photo with then candidate Donald Trump has used this attention to keep the nation’s eyes on the water crisis in her hometown. 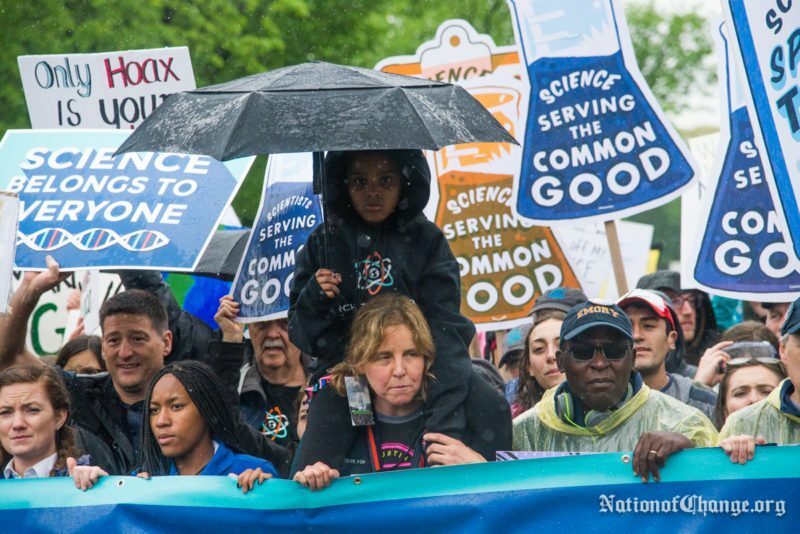 The momentum to bring back respect for science has started – and you can see it in the eyes of the kids at the rally, especially in the packed teach-in tents. 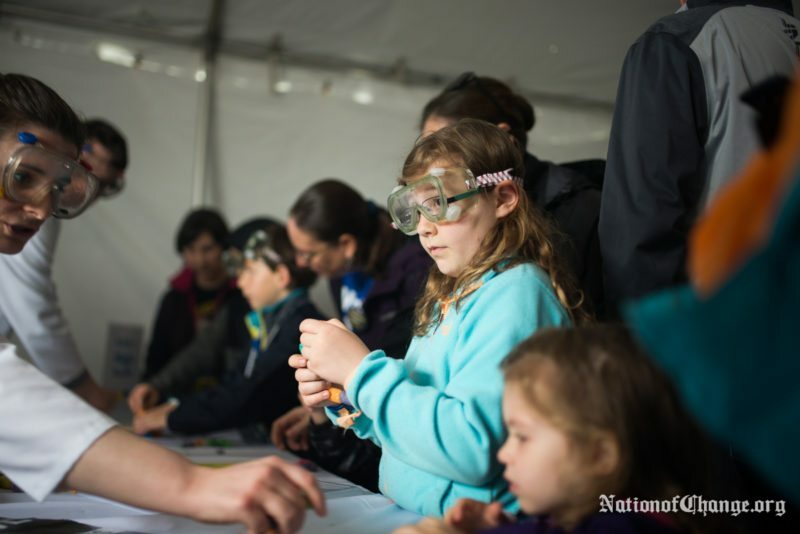 In the children’s tent, kids were wearing safety goggles while they performed short science experiments with the help of volunteers in lab coats. 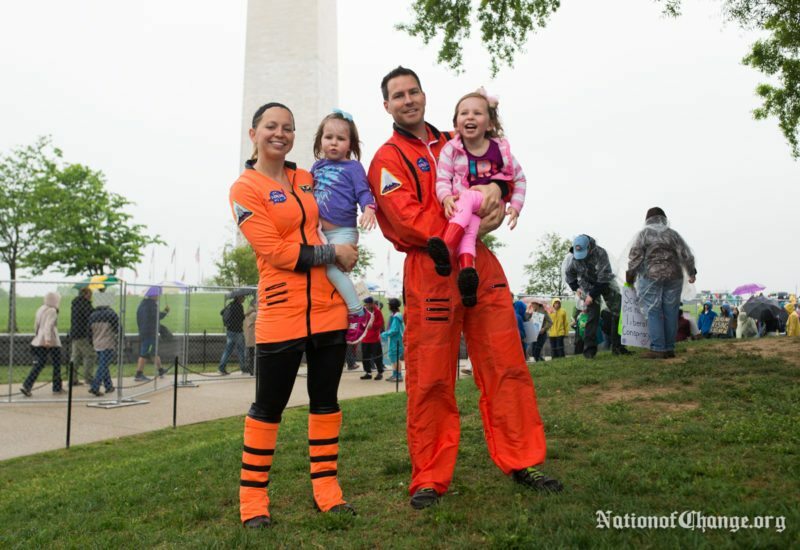 These kids also will get to watch a whole new show starring Bill Nye on Netflix in one of the many returns of science programs coming soon to TV and the internet. 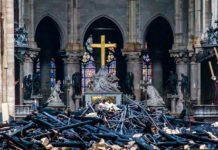 NationofChange will have full coverage of next weekends’ Climate March in Washington DC – so make sure you like our Facebook page and subscribe to our e-mail newsletter. We’ll be uploading more photos and video on our social media than appears in the articles so keep checking back!